Investors in unit trusts are currently taxed only on capital gains when they sell their units. But a proposed amendment could result in some distributions being taxed at income tax rates to the maximum of 45%. The introduction of capital gains tax in 2001 has led to enormous growth in the collective investment scheme industry. However, the recent creation of abusive schemes has led to proposed anti-avoidance measures. Collective investment schemes (also still known as unit trusts) are a pool of funds created through the contributions of individual investors. The scheme is managed by a professional manager who will invest in underlying assets such as bonds, shares, property, and even cryptocurrencies. Talaria founder Cheryl Howard says the hype around unit trusts stems from taxpayers who used the unit trusts vehicle as a tax planning tool. 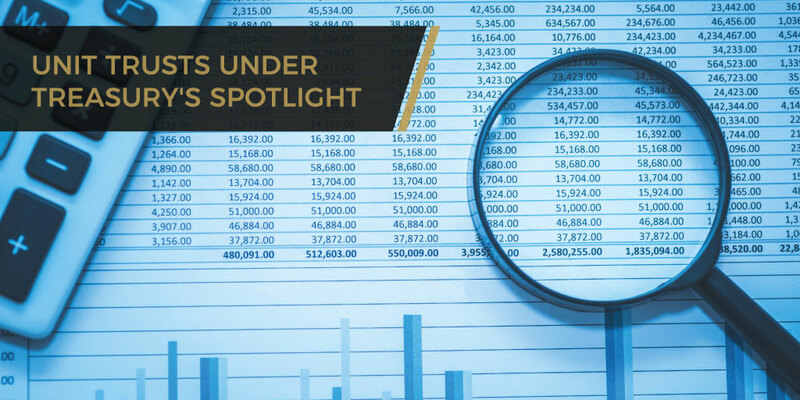 It arose predominantly from the unbundling of one or two shares where tax planners suggested putting the unbundled shares into unit trusts through Section 42 of the Income Tax Act. The section provides for the transfer of shares to a collective investment scheme whereby the capital gains tax event is deferred until investors sell their units from the unit trust. National Treasury proposes in the recently publushed Taxation Laws Amendment Bill that distributions – from the disposal of financial instruments to unitholders within a year of requiring them – will be deemed to be income and will therefore be taxed at income tax rates to the maximum of 45%. In other words, if the scheme sells some the shares in its portfolio at a profit within 12 months of acquiring it, the profits will be taxed in the hands of the unitholder when distributed. If an individual investor has a taxable income of R1,5 million, the distribution will be taxed at 45%. Nathasa Wilkinson, legal specialist at Tax Consulting, says Treasury has become aware of active trades by portfolio managers in the underlying assets of some of the unit trusts. The portfolio managers have been arguing that one should rather be looking at the intention of the investors (unitholders). They are holding long-term investments in the unit trust, and therefore the distributions should be seen as capital in nature and not income. Wilkinson says SARS is no longer interested in any arguments about the intention of unitholders. If the proposal is accepted, all distributions from the sale of financial instruments within 12 months of their acquisition will be added to the income of the individual who received the distribution and taxed at their individual income tax rate. Wilkonson says if there have been frequent distribution from the unit trusts to its unitholders they may find themselves in a higher tax bracket because of the distributions. If someone is earning R1,4 million per annum, but receives several distributions because of the trades, it may push the investor to R1.5 million. That means their tax rate increases from 41% to 45%. Erika de Villiers, head of tax policy at the South African Institute of Tax Professionals (SAIT), earlier said the proposed introduction of a “bright-line test” to determine the capital or revenue nature of income from the disposal of financial instruments is significant. She says the consequences for saving and international competitiveness should be very carefully considered. However, according to Howard, the change is mainly aimed at high-net-worth individuals who have gone into “very bespoke unit trusts” where they have essentially created their “own unit trusts schemes”. Specific shares were then transferred into these unit trusts. Howard says regulated unit trusts are unlikely to fall foul of the rules and normal taxpayers investing in those unit trusts will not be affected. The South African Association of Savings and Investments (Asisa) says net inflows into collective investment schemes for the 12 months to the end of June was R96 billion. The industry is the custodian of R2.3 trillion in assets belonging to ordinary South Africans, the association said in a statement a the beginning of August.